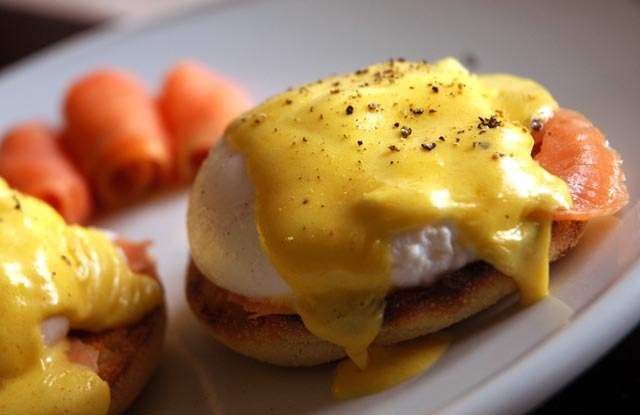 What's more appetising than an Egg Benedict for a weekend breakfast. Not the healthiest start of the day perhaps, but definitely one that's gonna set a good mood for the day. I made these following Gordon Ramsay's recipe, except I made smoked Salmon Eggs Benedict rather than bacon ones. You can find his recipe here. 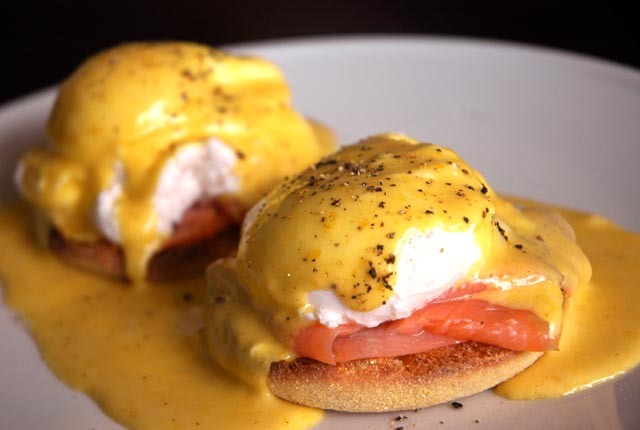 The Hollandaise sauce recipe is here. I made 4 Eggs Benedict with the amount of sauce indicated. Usually one portion is 2 eggs, so the recipe serves 2 people with 2 eggs. The amount of butter required for the sauce is 200ml. I find that rather scary, so I used 75ml of butter and 125ml of olive oil to reduce the amount of animal fats. Also, I didn't put the full amount of butter and oil mixture in the end. When you swirl the water with a whisk to poach the egg, swirl it very gently, don't create a powerful vortex which will mess up the egg. A gentle swirl will keep your egg nicely round. You can find English Muffins at most Cold Storage outlets. The hot water when making the Hollandaise sauce should be kept at a very moderate temperature (not boiling). Steam should be sufficient to generate the right amount of heat. If your sauce starts thickening, take it off the heat and if it's too thick add some of the boiling water. *swoons* I'm going to have to give this a go.